Result : Comilla Victorians won by 8 wickets. Player of the Match : Mahedi Hasan (Comilla Victorians). Comilla Victorians defeated host Sylhet Sixers by 8 wickets in an one-sided encounter at Sylhet International Cricket Stadium as Comilla earned their third victory in the tournament. This win put Comilla in the second spot of the points table with 6 points from 5 matches. On the other hand, it was Sylhet’s third defeat in four matches so far. 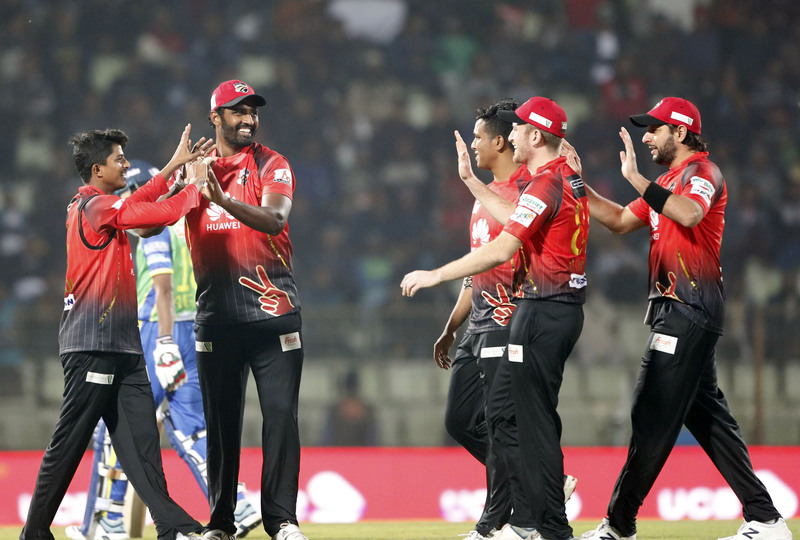 Batting first, Sylhet faced an nightmare start as Comilla off-spiner Mahedi Hasan got rid of Andre Fletcher, David Warner and Afif Hossain in the second over of the match. Sylhet never recovered from the early damage as they were all out for 68 in 14.5 overs. Alok Kapali was the only batsman to score past the double digits and remained unbeaten on 33. Mahedi grabbed 4 wickets for 22. Despite losing two openars early, Comilla chased down the small target easily in 11.2 overs. Shamsur Rahman was not out on 34 and Imrul Kayes was on 30. Mahedi Hasan named the player of the match for his match-winning spell.